The Gentle Exercise class was one of the first major activities established by the Branch and facilitated by Lynne Scott, a yoga teacher/yoga therapist knowledgeable in the effects of Parkinson’s on the mind and body. 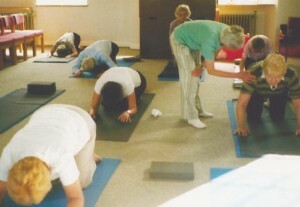 The classes ran successfully in Portobello and also in Drylaw Parish Church for many years. However, as Lynne is retiring from taking the class and numbers have dwindled in recent months, the activity will close with the session on 28th March, 2018 allowing the Branch to invest resources in other activities. The Branch is grateful to Lynne for her long-standing efforts with the Gentle Exercise sessions and the care shown to all those participating.